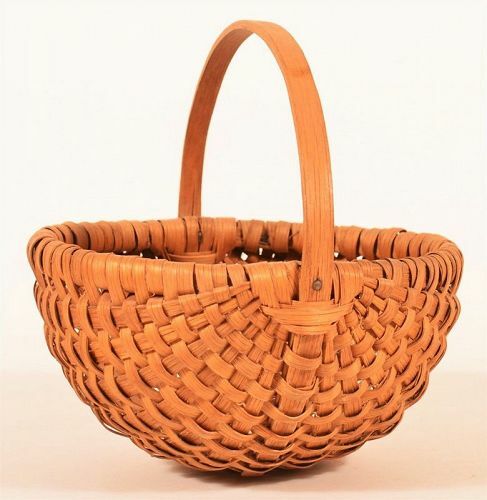 DESCRIPTION: A good woven wicker fishing creel with leather straps and sturdy saddle-shaped lid attached to the rounded creel body. 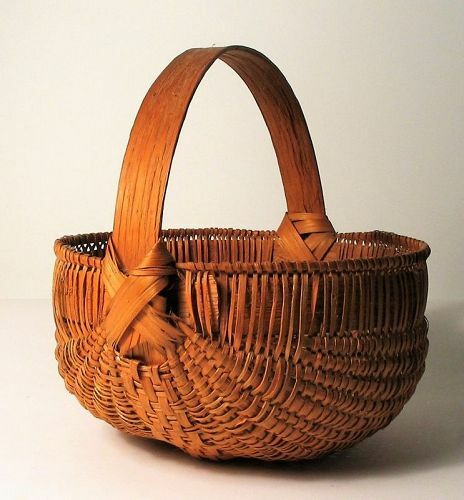 Such antique fishing gear can make attractive and functional decorative accessories for lake cabins and seaside homes. 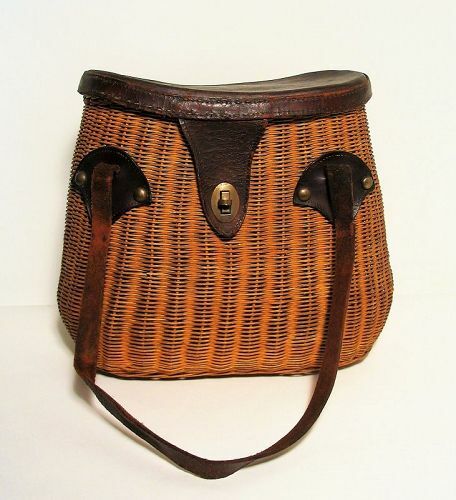 Early 20th C. CONDITION: Good condition with almost no losses to wicker; minor scuffing to leather; interior silk lining degraded. DIMENSIONS: 12.25” wide x 10.75” high x 6.5” deep. 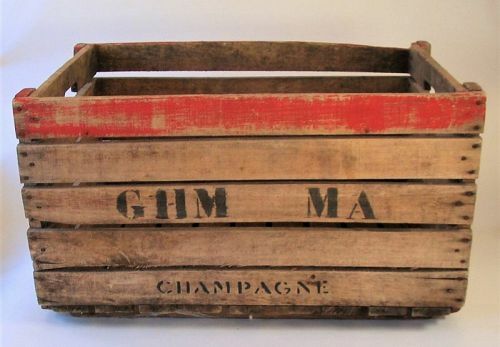 DESCRIPTION: A sturdy wooden champagne grape box or crate used in French vineyards at harvest time. 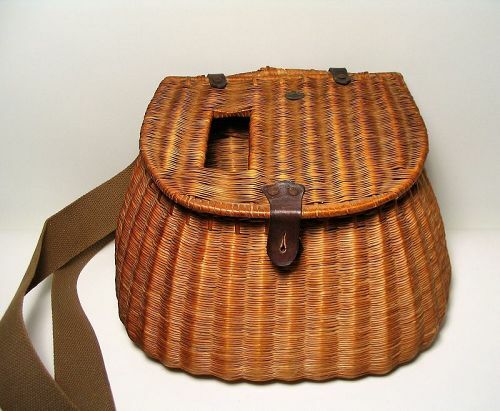 This one has touches of red paint, “GHM MA CHAMPAGNE” stenciled on both sides and handholds notched into the slats at the top. These boxes enhance a country provincial decorating style while functioning as split log holders for the fireplace or the perfect place to toss your wet or snowy boots in winter. 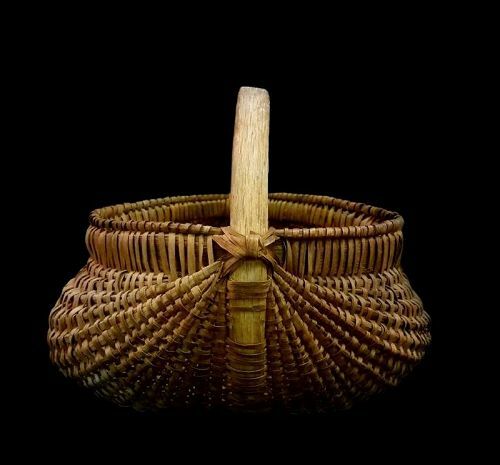 DIMENSIONS: 15 ½” high x 27"wide x 19 1/2"deep.